Journey to the Lord of Power is the first English translation of lbn Arabi's twelfth-century text dealing with spiritual ascent Arabi, whose metaphysical teachings have had a profound influence on both the Muslim and Christian worlds, is known as one of the greatest writers of mystical love poetry of all time. Written in answer to the questions of a friend, this illuminating guide describes the evolutionary path of our higher spiritual aspirations - the quest for the ultimate reality, the journey toward Cod. It is chiefly concerned with spiritual retreat, an advanced and potentially dangerous Sufi practice that aims at the attainment of the Presence of Cod through absolute abandonment of the world. 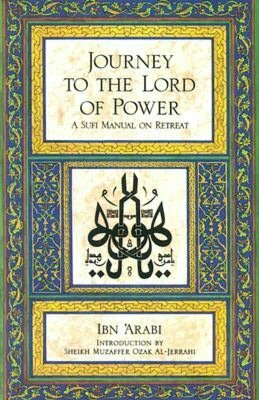 Realizing the imagination's deceptive power, 'Arabi warns that this form of retreat should not be undertaken except at the order of a sheikh or by one who has mastered the self. Each stage of the journey is accompanied by a temptation which can be overcome only by an unshakable desire for Cod.